A T-Ring is one of the first accessories you will need if you want to take pictures through a telescope or spotting scope. 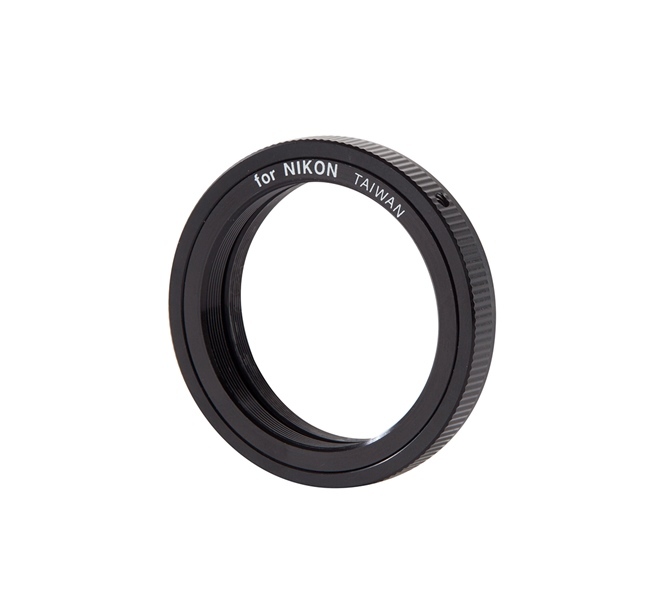 If you have a Nikon SLR or DSLR camera body, the Sky-Watcher Nikon T-Ring M42X0.75P for Nikon camera. is the one for you.